The exhibition showcases his journey from childhood, college days, early professional life, then mid and now latest.  Regarding his contribution towards the field of art, need not to mention that he is one of the most established name in the contemporary art world. His realistic sculptures of statues and busts of great personalities/statesmen in bronze, stone and marble have been installed in India and around the world. Triennale India, Biennale Belgium and Biennale Bangladesh. 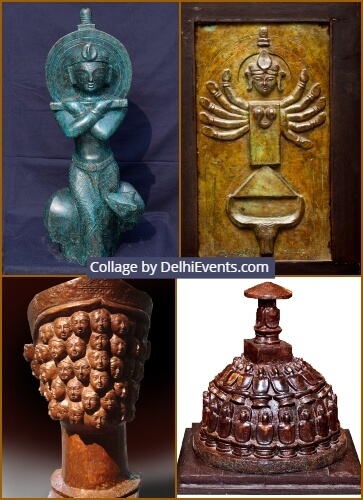  He has established his own innovative creative styles which have essence of Indian art and culture. Vibhushan by AIFACS and he has also been Padma Shri awardee.